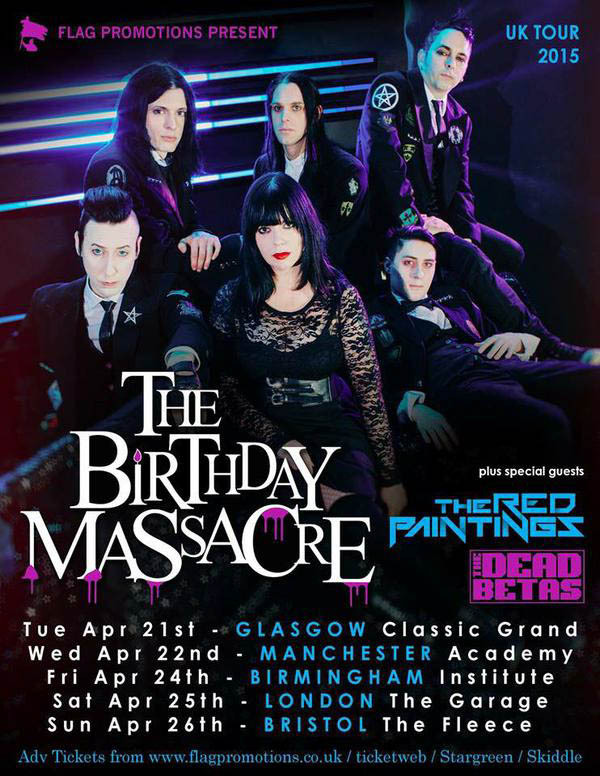 North Devon Synth-Punk maestros, The Dead Betas, have today announced that they will be supporting The Birthday Massacre and The Red Paintings on their upcoming UK tour. The Dead Betas are a whirling dervish of angry synth-punk; with killer riffs, spiky lyrics, infectious energy and a whole lot of balls. They are the Ritalin-dodging, adrenaline-fuelled, synth-smashing, electronic-smattered punks that you have been waiting for! If you like your music mad and your parties rawkuss, you will like The Dead Betas. Having previously shared the stage with Mindless Self Indulgence, UK Subs, Lethal Bizzle, Boomtown Rats, InMe and many many more, this tour is not to be missed!